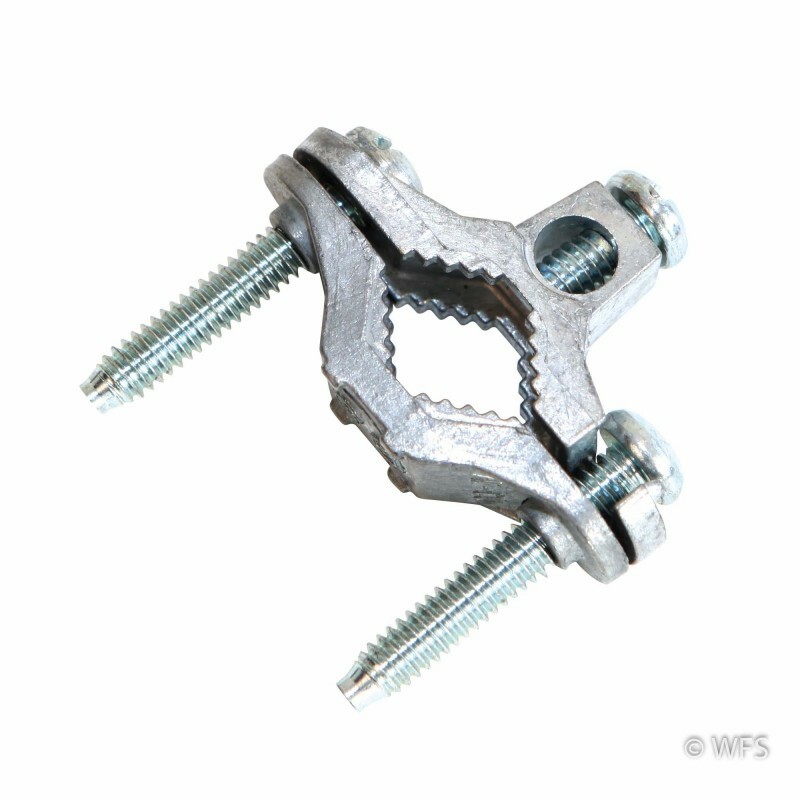 Use this galvanized steel clamp to connect the energizer ground lead to the ground rod. Use this galvanized steel clamp to connect the energizer ground lead to the ground rod. The clamp and the wire are secured with a slotted screw. Use 12.5 or 14 gauge insulated wire for all grounding connections. A ground rod clamp is also necessary to attach lightning diverters to their respective ground fields. 2.39 x 0.65 x 2.25 "